Roll out the track and pick your car. Download the free app to take command of your battle-ready warrior and customize it with exclusive upgrades. Blast it out with up to three friends or self-driven cars per race. 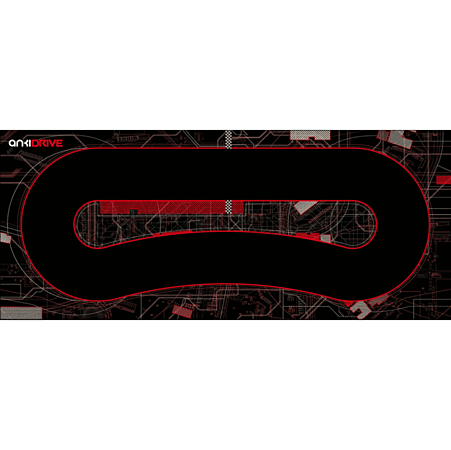 Anki Drive uses Artificial Intelligence (AI) to deliver a fantastically exciting new racing game and track - race the intelligent cars around the track using an app on your Apple iOS device, the AI cars own the road; they know your every move and the more you drive, the more they evolve and react differently over time! 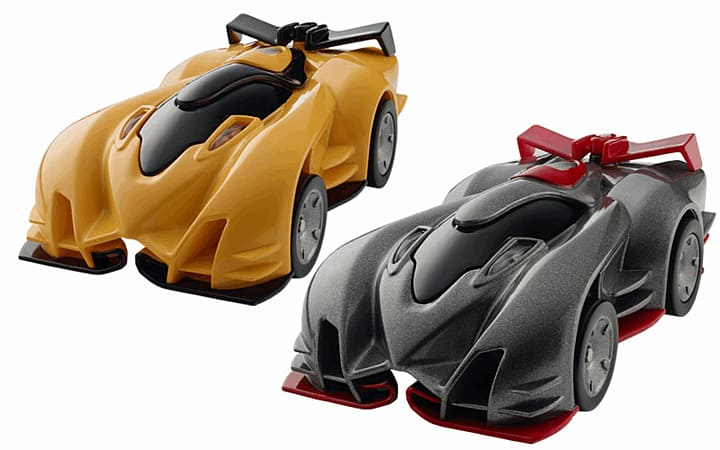 Using your iPhone, iPod touch, iPad or iPad mini, you can take control of a car to play against friends or AI cars themselves; watch your back though - Anki Drive cars have been designed to take you out! 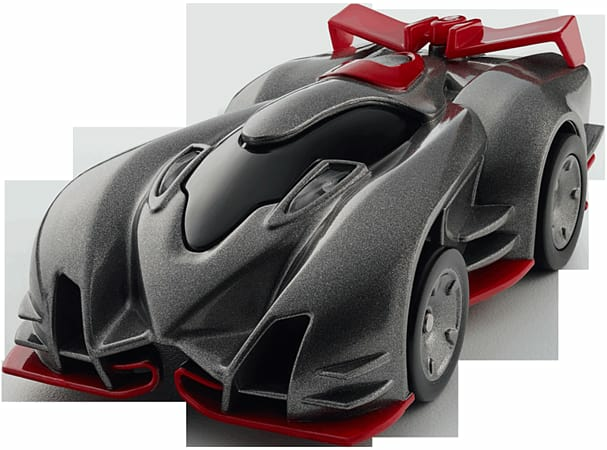 You can play Anki Drive against your friends or against an AI-enabled opponent. 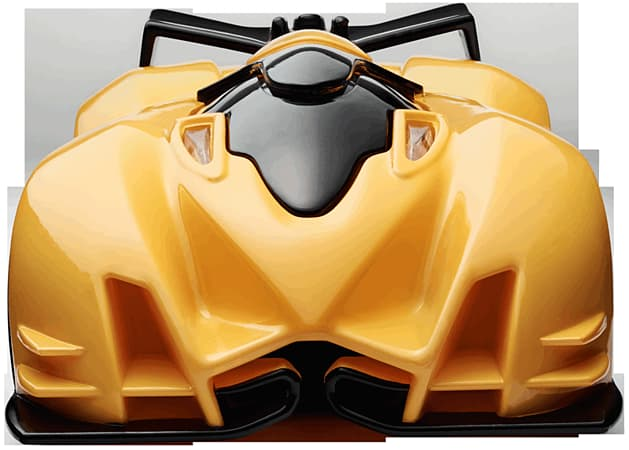 The more you race, the more points you earn, which you redeem to upgrade your car's weapons and capabilities. 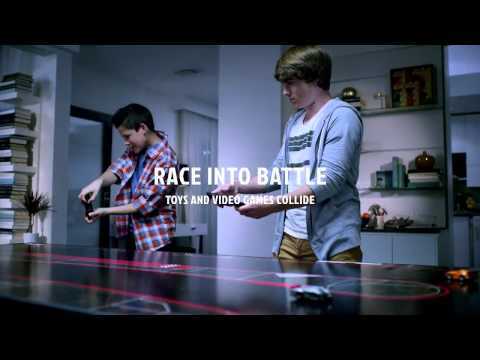 Up to four vehicles can play at once; you and friends use iOS devices to control one to four of the cars. AI controls any cars you don’t control. Place the 1 metre x 2.5 metre track on any flat indoor surface, though flooring or a low-pile carpet works best. 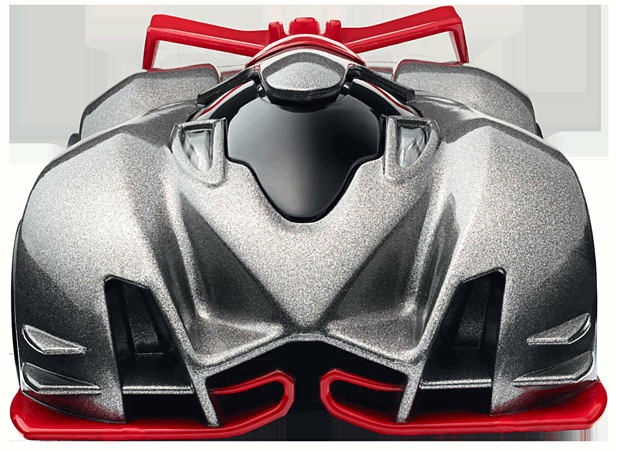 Anki Drive is suitable for all ages capable of navigating an iOS device - the cars' mini cameras ensure that the cars will automatically stay on the track, meaning even the youngest of players can successfully race their cars the whole way round the track. 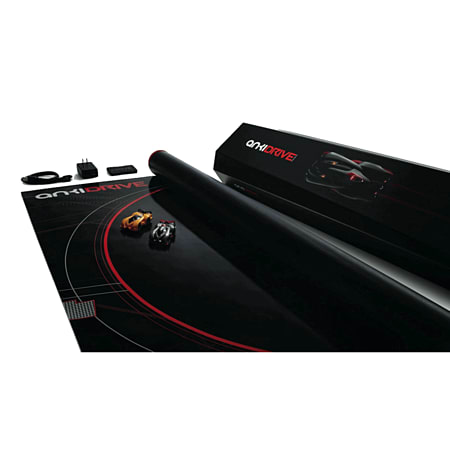 The Observer newspaper says: "At the end of our first game, as all the cars unexpectedly scuttled into position of their own accord and a voice on my phone announced the winner, I felt the same weird chill I had when someone first showed me the swipe motion on a smartphone screen. Something from the future's here in my hand!" Take competitive gameplay to a whole new level as enemy Commanders of all ranks and styles are waiting to take you OUT! Prove yourself against Winger, Shadow-X, and Fuzz in single player to unlock more difficult foes. Once unlocked, you can add a commander to your multiplayer games, or even play alongside them in Team Mode. 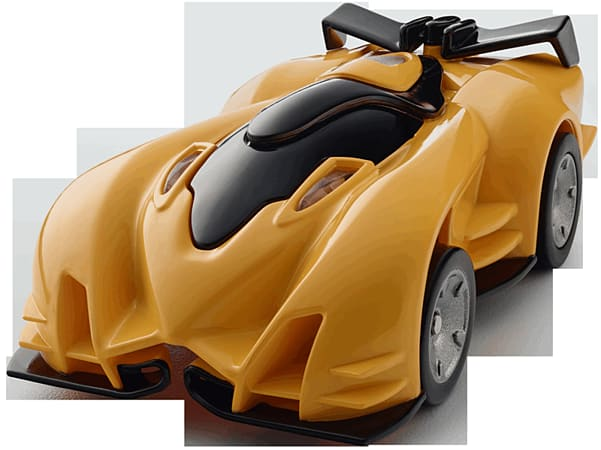 Each Commander has a unique look and personality as they take control of their cars just like real-life players. Be smart about choosing an opponent as every Commander has their own special benefits and challenges. Compatible with the following Apple IOS devices iPhone 4s or later, iPod touch (5th generation) or later, iPad 3 or later or iPad mini or later. Compatible with the following Android Devices Google Nexus 5, Samsung S4, Samsung S5, Samsung Note 3, Samsung Note 4 and Samsung Note10.1 (2014 Edition). Each player must have their own device.